On June 16, 2015 we introduced our Rent Stabilization Due Diligence product when Michelle Maratto Itkowitz led a great panel entitled, "Rent Stabilization Due Diligence for Multi-Family Acquisitions" at the Brooklyn Real Estate Summit. The old saying goes that the three most important things about real estate are: location, location, and location. Keeping that rule in mind, one should add our rule about the three other most important things about multi-family real estate in New York City, and those things are: the tenancies, the tenancies, and the tenancies. A building's value is a function of the tenancies. Our clients often retain us after they buy buildings without knowing very much about the tenancies. They then bring their landlord and tenant legal problems to us. So often we say to a client, "Client, why didn't you ask me about this situation BEFORE you went to contract, or, at least, while you were in contract? We could have mitigated the damage had we known about this sooner." Thus, we suggest that owners, managers and developers consult us during the property acquisition phase. Indeed, we can look at a building and see it in a way that an engineer, architect or transactional lawyer cannot. We see what is at the heart of the building - the tenancies and the ability of those tenancies to create or to stymie revenue generation. Introducing our Rent Stabilization Due Diligence product. The below booklet begins with helpful FAQ's and then is basically a 25 page analysis we recently did for a guy buying a 6 family in Brooklyn. No one should ever buy a multi-family without this kind of scrutiny. You can read the booklet. here is a link to the PDF. (A) How can the existing Rent Stabilized tenancies be eliminated, or moved towards elimination? (B) Are the “Free-Market” tenancies REALLY Free-Market tenancies? Just because the Seller says a tenancy is not subject to Rent Stabilization doesn’t make it so. Contact Michelle Maratto Itkowitz at any time to discuss Rent Stabilization Due Diligence. 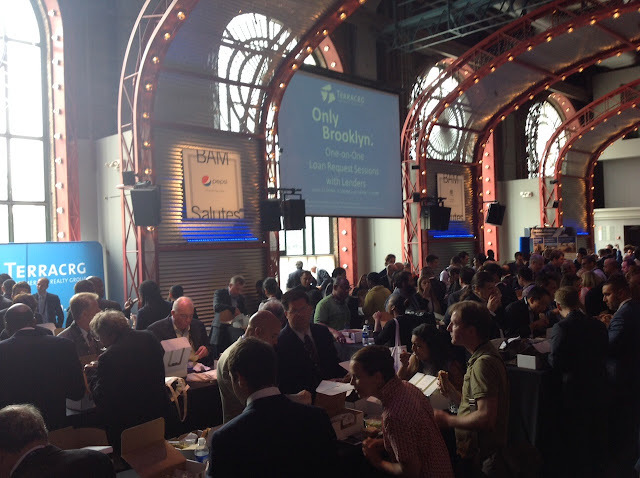 The TerraCRG Brooklyn Real Estate Summit was at capacity this year. I bet next year they move it to the Barclay's Center.